I’ve spent a lot of time looking for an ideal audio setup for my needs. One of the difficulties is that specifications for audio performance are not particularly helpful. If one is unable to physically test a piece of audio equipment before buying, then one is left to the mercy of online reviews. Sound quality is extremely subjective, and the terms used to describe it are anything but concrete. It helps to gather many different perspectives and ways of phrasing the same thing. This article might help a few people out in that regard. Mostly, when I deal in audio, I am interested in positional cues in gaming and in immersion in both movies and games. Music is not a big part of my life, but when I listen to it, I want it to sound clear and for the details to stand out. 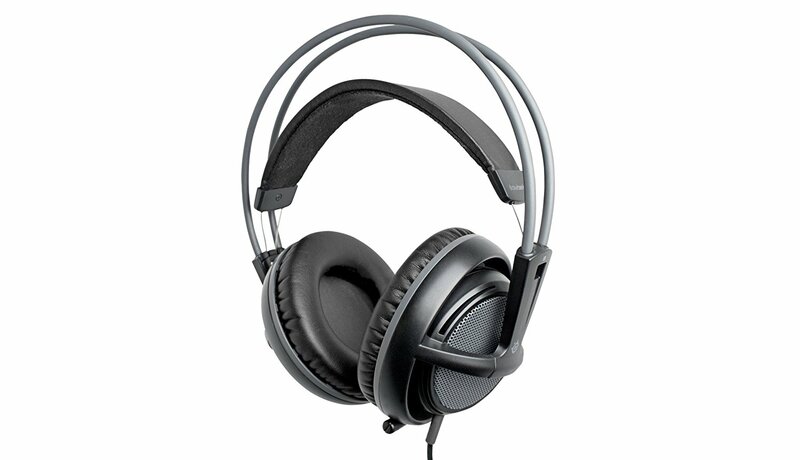 I don’t remember which I bought first – a Sound Blaster X-Fi XtremeMusic or Sony MDR-SA1000 open-back headphones. I do remember that it was in the late 00’s, and that this was my first pair of headphones that retailed more than $40. And, upon listening to the soundcard and headphones together, I found that it was very clear and crisp in comparison to everything else I’d heard. The MDR-SA1000 had light bass and some sibilance, but I quickly learned to love this sound signature. But what really impressed me was the way the sound felt like it was coming from outside the headphones. 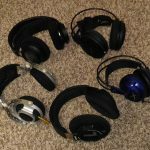 Every other headphone or earphone I had used had felt like the sound was being generated between my ears. With the SA1000, and particularly with CMSS enabled (as well as an opamp, EMI shield, and capacitor mod on the X-Fi), everything seemed to happen around me, lifelike. 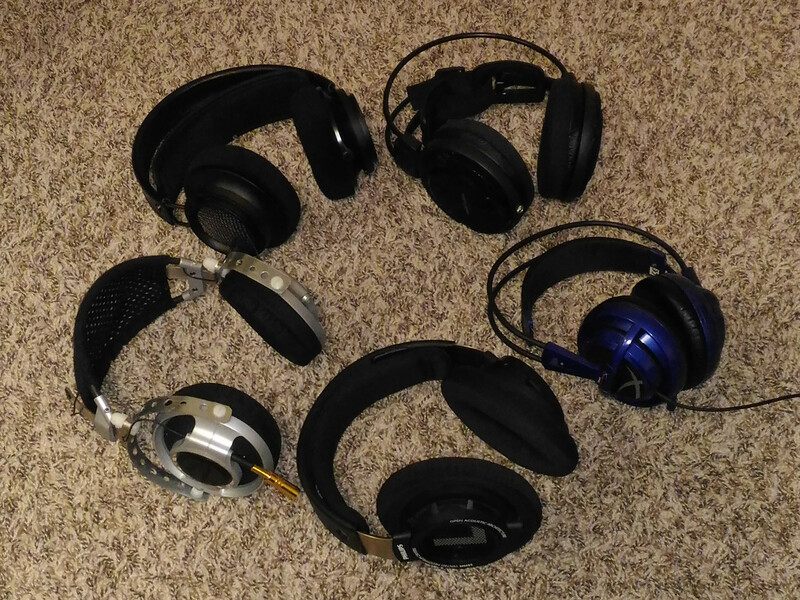 Later on, a friend sat on these notoriously fragile headphones, and I could not fix them with superglue or JB Weld, so I had to look for a replacement. 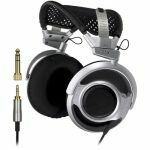 Having heard good things about the Steelseries Siberia V2, and catching them on a sale, I purchased a pair, and found myself disappointed. The headphones sounded fine overall, but it seemed a bit muffled, the “sparkle” wasn’t in the high end of the frequency range, and the openness that I loved about the SA1000 wasn’t there. The closed nature of the headphones also seemed to exaggerate the bass, more than my liking. When they also started hurting my ears after wearing them a couple of hours, I searched for something else. 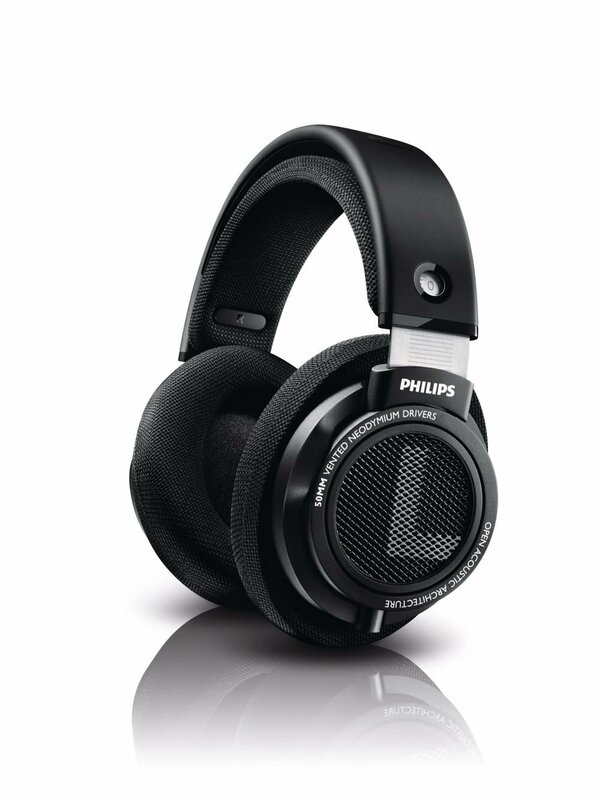 My next pair of headphones was the Philips SHP9500, again purchased on sale after reading good reviews. They were an improvement both in sound quality and comfort over the Siberia V2, but still did not match what I had loved about the SA1000s. I used these for several years, resigned to budgetary constraints. In June 2017, while tinkering with the air flow characteristics of my graphics card, I shorted my onboard audio and burnt it out. I took the opportunity to purchase a Sound Blaster Z off eBay. Previously, I had desktop speakers fed from the onboard audio and my SHP9500s fed from an ASUS Xonar U3. The SBZ has separate line-out and headphone-out jacks, and with software switching, allows me to simultaneously connect both speakers and headphones to the one card. Upon switching, I found that the SBZ offered a pronounced increase in bass over the ASUS Xonar U3, but was otherwise similar in terms of both virtual surround and sound quality. 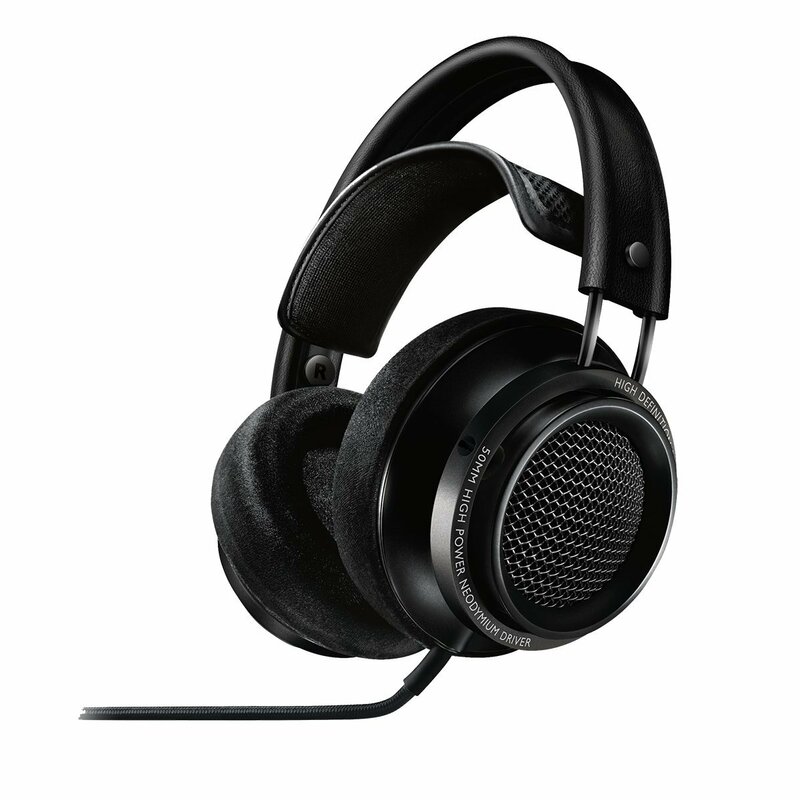 With the new Sound Blaster Z, I caught the itch to upgrade my headphones again. I did a great deal of reading to find a pair that I could get for under $100, used. 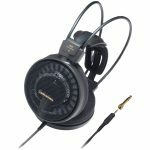 The Audio Technica AD700X stood out in forum recommendations as having an incredible soundstage (which I understood as the audiophile term for sound seeming to come from outside of the headphones) and emphasis on the highs. The next model up, the AD900X, was said to retain these qualities while also adding some bass. I thought that this would be the pair to bring back my beloved SA1000 sound signature, maybe even with a bit of improvement. So I bought a pair of AD900Xs off eBay which turned out to be a factory defect (left-right channel swap). The seller offered a refund deal and let me keep the headphones. I fixed the channels when I installed a 3.5mm jack where the cable had been permanently attached. Sound-wise, I was disappointed to find that the wideness that I wanted from the headphones still wasn’t there. It is slightly better than the SHP9500, but much of the sound still sits between my ears, unless I use a binaural recording or crossfeed/surround processing – still not at the level of the SA1000. Further, though the highs are indeed emphasized (what I understand as “bright”) in the AD900X, there are dips and peaks at different frequencies that do not highlight instruments in the same way as the SA1000, that sounds artificial to me. Furthermore, the Audio Technicas have an uncomfortable clamp on my lower jaw, and a wing-headband system that slides down my head unless I remedy it with a hairband to tie the wings together. While waiting for the AD900Xs to arrive, I decided to either try and fix the SA1000s or throw them away. I gave fixing them a shot, and it turned out functionally well. The lovely openness and clarity of the sound that I missed was there, yet after having used more bassy headphones for almost a decade, this deficiency stood out to my ears more than it had back then. 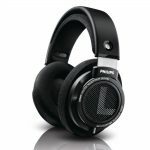 And so, I read every review I could about the Philips Fidelio X2s. During this time, I found a demo pair at a mall and tried them out – the mall was loud, and so it was difficult to be sure of what I was hearing, but I was certain that I was able to discern the openness that I had been searching for, as well as impressive clarity at all frequencies. Eventually, I convinced myself into finally, for the first time in my life, dropping over $100 on a pair of headphones. I was unable to find them at a used price for much less than $150 (delivered) on amazon.co.uk, and so I bought them there, new. After a couple weeks of impatient waiting, the Fidelio X2s (Gibson manufactured) arrived in the mail. I opened the box and immediately started A/B testing them against my SA1000s. The first thing that hit me was the bass. The lower end of the X2s are full, perhaps exaggerated, to the point that the cups themselves can vibrate if the volume is turned up on the right notes. I also noticed that the wide soundstage I was looking for is indeed there. 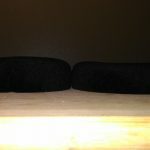 It is a bit overwhelmed by the bass – when I EQ’d down the lower end, they sounded nearly as wide as the Sonys. Meanwhile, the highs sound very similar to the Sonys, except for a sudden spike in response at the 9khz area, which I can notice on the rare occasion when a sound passes through it. The mids are said to be recessed on the X2s. Again, I think that this is just a result of them being taken over by the low end. After a few hours of letting my ears adjust to the sound of the X2s, I find that I am able to hear more of the wideness of the soundstage through the bass, and the mids are present and beautiful. Comfort-wise, my only complaint is that the clamp force is rather high for me. However, it is evenly distributed around the ears. Sometimes I notice it, sometimes I don’t. It is not as comfortable as the feather touch of the SA1000s, but it feels better than the uneven clamp of the AD900X. 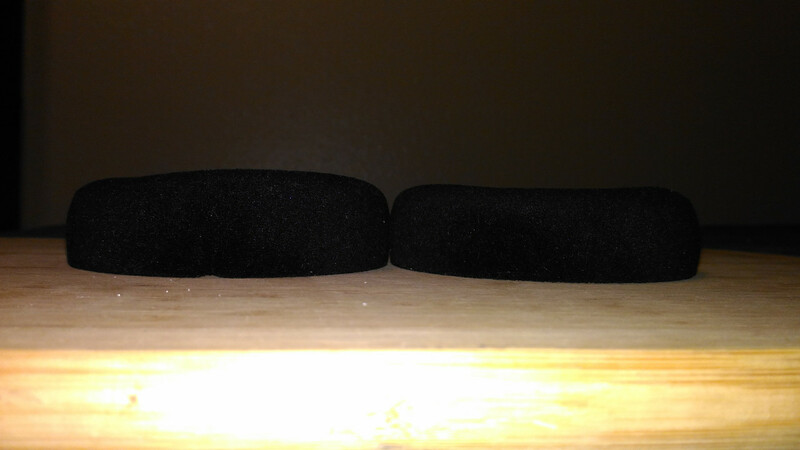 The auto-adjusting headband adjusts perfectly and has no tendency to move up or down. It feels very solid on my head. Z-reviews had it spot on to gush all over the Philips Fidelio X2 in his review. They are great all-rounders for music, movies, and games. 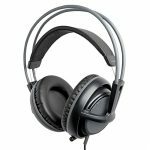 It’s as if Philips took everything I love about the Sony MDR-SA1000 and corrected the flaws, filled the gaps. It even managed to make me appreciate more bass in my sound. The Philips Fidelio X2 seems like a spiritual successor to the Sonys, and (almost) leave me wanting for nothing more in a pair of headphones. That said, I did have a manufacturing problem with my pair. The earpads are removable, and the padding attaches to a plastic frame that locks down onto four pins (plus a fifth keypin) in the can. The padding is shaped ergonomically, to be a bit thicker on the front and back and fit around the jaw. On mine, the left padding was glued at a 45 degree angle clockwise, making the padding thicker at the top and bottom, and moving the driver farther away from my ear. I didn’t notice it at first, but a nagging right-side bias in the sound led me to search for and discover this cause. I contacted Philips about getting a replacement earpad, but they said they don’t have extras, and insisted that I would need to RMA the entire unit. They also informed me that fixing the problem myself would void the warranty. Well damn – what’s all the advertising about removable earpads if you can’t get replacements? Seems silly, but since they paid shipping both ways, I went along with it. After a few weeks of turnaround, I found that Philips actually sent me the updated version, the X2HR! They felt and sound exactly the same, but with the balance issue improved. It’s still there – the new left pad is oriented better, but is now overall thicker than the right. I’m not going to return them again – I’ll just try fixing them myself. Philips needs to improve their earpad manufacturing process.